A pearl’s color is more a matter of personal taste than one of quality. You can learn more about which pearl colors are natural and how the dying process for unusually colored pearls works here. If you are choosing your perfect pearl, then simply go with your instincts when it comes to color. Remember, you are the one who will wear and enjoy it, so that’s all that matters. If you are choosing a pearl as a gift, or pearl jewelry that you hope to become a family heirloom to pass to future generations, then we recommend a naturally colored pearl. Natural colors will stand the test of time and passing fashion trends. A classic white pearl will always be an elegant and timeless choice. There are very small differences between orient and overtone. 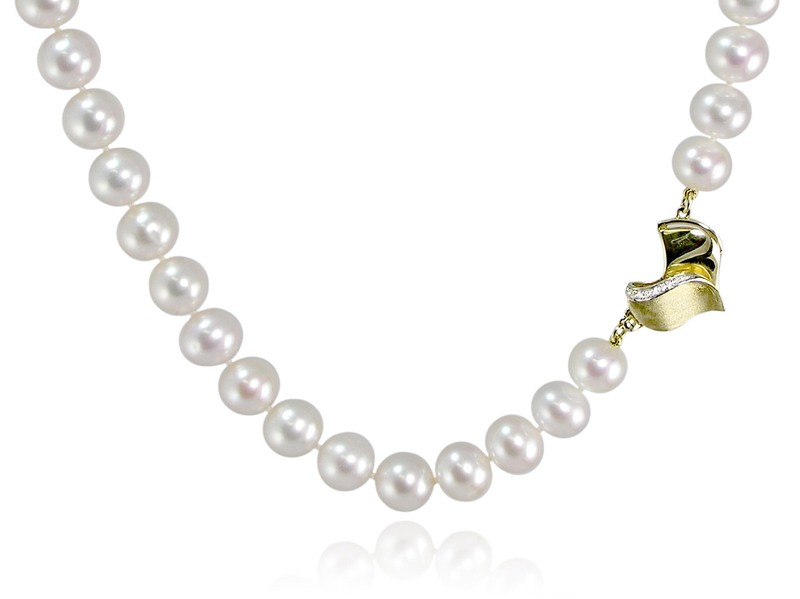 The “orient” of a pearl is the beautiful iridescent shimmer of color that spreads across its surface. Often, this causes a rainbow effect on the surface of the pearl. This color is not the same as the color of the pearl itself, but the iridescence that may seem to dance and move across the pearl as you turn it. In contrast, the “overtone” of a pearl is the secondary impression of color of the pearl as it is viewed against a white background. For example, a black pearl may seem to have a subtle blush of green. This color, unlike the orient, does not shimmer, but may differ depending on which side of the pearl is viewed, due to the refraction of light within the pearl’s surface layers. The larger the pearl, the longer it had to remain in the clam or oyster’s shell, and as a result, these are usually more costly. 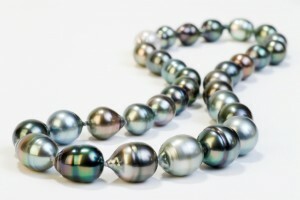 Very large pearls are a rarity, due to the cost of producing them. Consider that the oysters must be kept healthy and safe from predators, parasites, and destruction of their natural habitat for several years while the pearl is allowed to form. Additionally, the extra time in the shell increases the likelihood of blemishes forming on the pearl as small imperfections in that occur in the laying down of nacre are magnified in the subsequent layers. As a result, flawless pearls of a large size will command very high prices. Regularity refers to the shape of a pearl. There are lots of different shapes and styles of pearls, including ring pearls, coin pearls, baroque pearls, and more. While the fun and often beautiful shapes pearls come in create a wide variety of personal styles that we love, these pearls are often considered less valuable than round pearls. The more spherical the pearl, the more regular it is considered to be. No pearl is perfectly round, but many come close to being spherical. The best pearls are typically smooth and even. However, be leery of a pearl that is absolutely spherical and has no defining marks, as these can be synthetic or formed pearls, and therefore of lower value. Make sure you have trust in the jeweler you are buying your pearls from, and if you ever have a doubt about the authenticity of your pearls, check out our guide to tell if your pearls are real. A pearl’s luster, or shine, is determined by the layers of “nacre,” the substance pearls are made of, that coats its central nucleus. Usually, more nacre results in a higher luster. The surface curvature of a pearl can also have an effect on the luster, as light passes through the delicate outer layers and refracts off of the aragonite crystals in the pearl, giving the pearl its signature glow. This causes the highly desirable translucent appearance that very fine pearls display. We hope these tips for choosing the perfect pearl will help you in your search. 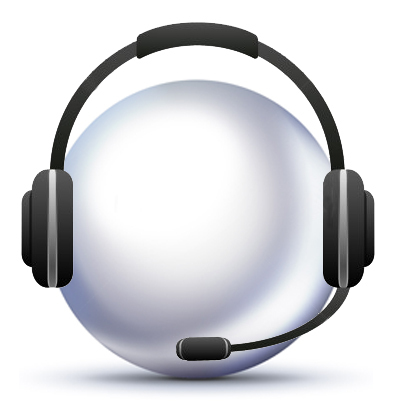 If you have any questions about a specific item, please don’t hesitate to call Pearls International Customer Care at 386.767.3473 or email us at customercare@pearlsinternational.com and we’ll get back to you right away!